We can do far better in how we portray people from BAME backgrounds in our campaigns. Racism. In a post-Trump world, it’s a topic that has pervaded worldwide conversation (for the good and bad) more than many of us ever thought it would in 2018. 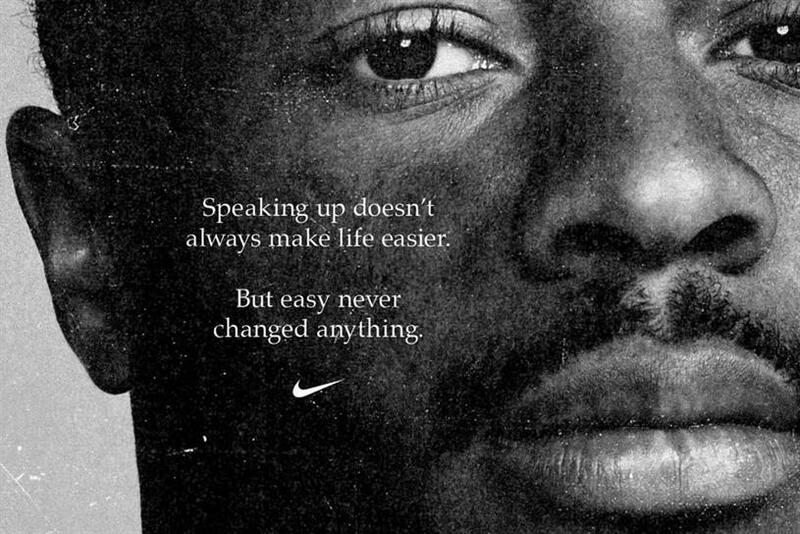 In the UK, the latest story that has dominated both the front and back pages of our newspapers follows reports that footballer Raheem Sterling faced racist abuse from an angry fan at the recent Chelsea vs Manchester City game. Sterling, who stoically brushed off comments with a smile on the pitch, later took to Instagram to call out the British media and its negative portrayal of young black footballers that, in his opinion, only fuels the racist behaviour witnessed at the game. Since then, footballing legends from John Barnes to Gary Neville have discussed the broader coverage of ethnic minorities in the press that implicitly, through language and tone, provides rich fodder for modern-day racism. And, I’m afraid to say, I agree. But this issue is not isolated to newspapers and football. The creative industries, like many others, also have their part to play. They are guilty of failing to cast people from ethnic backgrounds in empowering roles and often presenting them as subordinate to the white protagonist. The representation is, at best, plain lazy and, at worst, a scary view into the colonial lens that still pervades our industry. In advertising, we’re used to seeing the Asian shopkeeper or a massive Bollywood-themed party; when black people dominate ads, it’s usually in the world of streetwear, rap and bling. In the film industry, they check the diversity box by casting stereotypical roles such as terrorist, gang member, drug dealer, tech geek, cab driver or that sassy friend with attitude that’s always causing a scene. Actors have long been vocal about the massive typecasting barrier they face from the roles they’re invited to audition for – usually stereotypical or specifically ethnic – while their white counterparts are free to stretch and challenge themselves within their craft. Yes, one could argue that progress is being made. What about Black Panther, I hear you say? But Black Panther was a black movie, written for a black cast. Why can’t we have people of different ethnic backgrounds as lead protagonists in movies, TV shows, content and ads, regardless of their ethnicity, not just for it? This lack of opportunity and prohibitive representation is fuelling prejudice and unconscious bias in our society. Whether we like it or not, what we see on screen enters our subconscious database and shapes our viewpoints. And this skewed presentation of ethnic minorities strengthens stereotypical associations and has limiting consequences on how they’re perceived by society. If all we see is young black kids flexing or trying to become rappers, or Asian kids assuming the extremes of reclusive consumer geek or terrorist, it only reinforces existing race structures and inferiority complexes. How can young black and Asian kids confidently and proudly stretch themselves when the screens they watch prescribe what they should or expect to be? The Ethnicity in Advertising report showed improvements in representation, but statistics show that they are predominantly in supporting or clichéd roles – that's why a large proportion of people from ethnic backgrounds still feel inaccurately portrayed in advertising. Next year, the Advertising Standards Authority’s ban on ads depicting gender-stereotyping will come into effect in an attempt to shift social attitudes and tackle the negative social impact of stereotypical representation. Let’s hope, and lobby for, a similar ban for ethnic representation to follow suit. Because we cannot afford to wait. Government reports show racial and religious hate crimes growing at 14% and 40% year on year respectively. As an industry, we must to do our part to help change the negative social attitudes that affect the lives and careers of everyday Brits.